I love holiday decor, especially at Winter solstice and Christmas time. 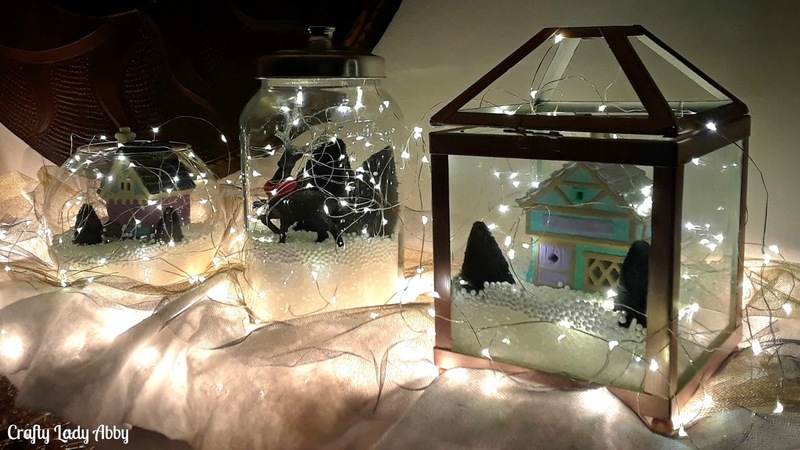 This glowing snowy winter wonderland can be set up on a mantle, table or other flat surface. 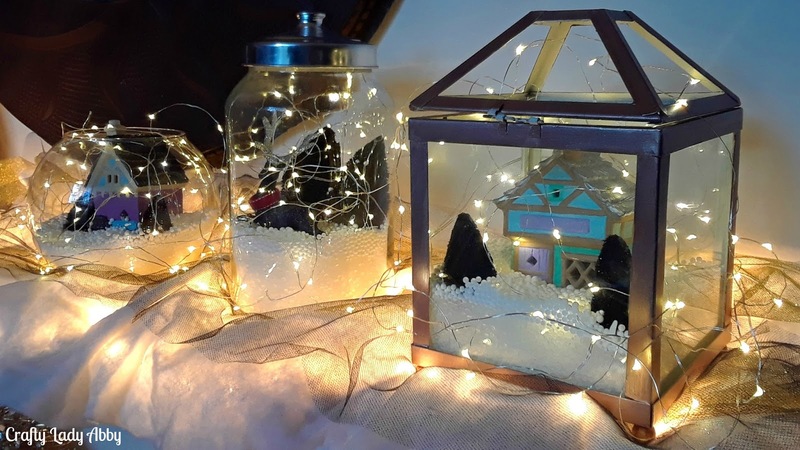 The Fairfield World Project Fleece, Poly Pellets and Poly Pellets add a delightful snowy effect to this scene. This display can be done in any color scheme, as the Oriental Trading tulle and DecoArt paints come in many colors. Test out different sized clear containers and objects to see what combo fits best. I'm going to move part of it (the containers) to my record storage shelf, where I had an Apothecary Jar Winter Forest last year. Noted supplies were provided by Fairfield World, Oriental Trading and DecoArt. Fairfield World paid me to create this project and tutorial. All thoughts, opinions, instructions, video and photos are my own. This is a project that's more informative shown in a video. All of the instructions and details are in this Glowing Snow Winter Wonderland video tutorial. Here's what the display looks like in daylight. Here's what the display looks like at nightime. I plan on getting my large winter village set up before the new year. I'm starting to think that might come later than sooner. I'm in winter break mode. Whatever you've made this year, I hope you've had fun creating projects. Happy holidays and makery!